When it comes to protecting your roof – and your property – there’s no better method than roof maintenance. Since your roof can be a gateway for moisture, it is essential to monitor and maintain it to ensure the integrity of everything beneath it. Whether you’re concerned about damage to products, equipment malfunctions, or employee safety, you can cover all three of these bases by taking care of your roof. As the property owner, you should be performing regular inspections, looking for the telltale signs of underlying damage. But, what are those signs? Some of the first things to keep an eye out for are signs of damage. Look for shingles that are beginning to curl, pools of water, or discolored areas on your roof. You should aim to inspect your roof at least two times every year and, if any damage is noted, contact Wharry Engineering to discuss roof maintenance. If you notice moisture gathering on your roof, take note of where it’s gathering, how much is present, and how it is entering your building. Is it flowing along – and into – a damaged seal? Has it formed a soft, shallow depression on the roof? 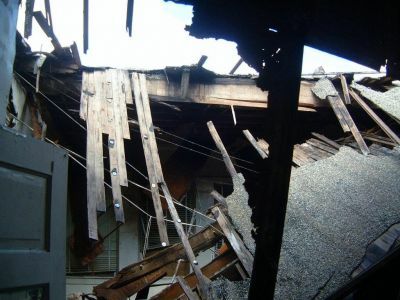 Roof failures often occur in areas where the elements of your roof are joined. Whether it’s a rusted vent, a leaky seal, or a crack near an equipment installation, these irregular areas are easy entries for moisture. At Wharry Engineering, our goal is to educate our customers and – more importantly – offer them the services that they need to get the most out of their roofs. If you’ve been searching for a company that will work with you to inspect and maintain your property, contact us today to learn how we can help.